With PMA and the steady stream of new camera announcements from January to March over, things are about to become busy – summer is coming, school semesters are finishing, everyone’s getting busy, going on vacations, shopping (well, maybe less so because of the current economy…). 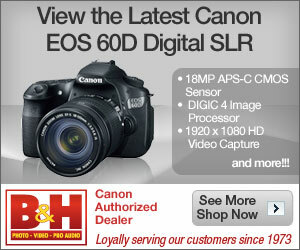 But rest assured there will be reviews of your favorite, most sought after digital cameras here on DPInterface! Hey DPInterface readers, I’ve recently started a little poll on the style of our digital camera reviews that you see on the right. Basically, it’s a simple survey of what kind of reading style you prefer to read our reviews in. Single long page review – this is the current format of all DPInterface’s digital camera reviews where everything is fitted into one page. Get ready for two digital camera reviews today- I’m starting off with the Panasonic Lumix FX37 review and then the Panasonic Lumix LS80 review later in the day. Don’t worry, there are other brands, more reviews, to come towards this weekend so stay tuned for those as well. I’d like to wish all our readers a Merry Christmas and happy holidays. I’ll be taking a short break this weekend but not to worry, I’ve got two (or three) reviews planned for next week, hopefully before the new year. Have a great weekend all. Today is Turkey Day in the US. Happy Thanksgiving to all our readers who celebrate Thanksgiving!